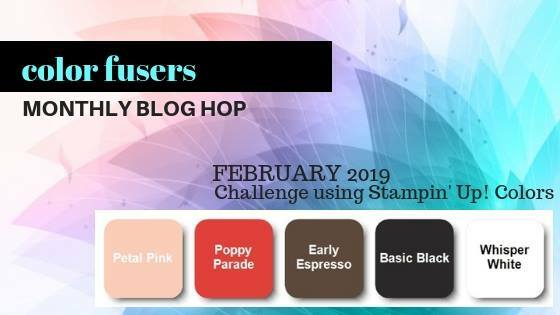 Welcome to the February Color Challenge for the Color Fusers Blog Hop! 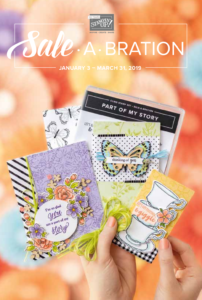 I hope you’re enjoying the blog hop so far! 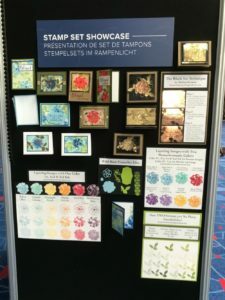 There are always lots of fun projects presented by the talented members of the Color Fusers Blog Hop team of designers! 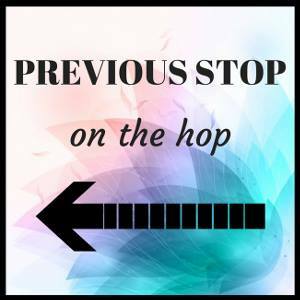 This is a monthly blog hop and go live on the first Monday of each month at 10 am EST. 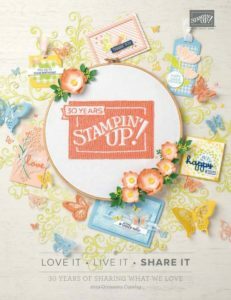 My projects today feature the NEW Hey Love Stamp Set from the 2019 Occasions Catalog. This is a totally original design and I love how it turned out. I hope you do too! 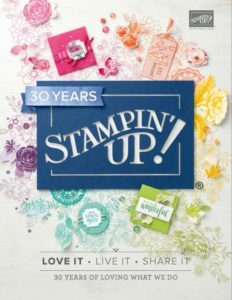 I knew I wanted to use some of the images in the Hey Love Stamp Set on my project. Since the images are so fun I wanted a playful sort of design. The blocks going this way and that just seemed whimsical and a perfect fit for the look I was going for. The block shapes on the focal piece are actually stamped using a “C” sized Acrylic Block. 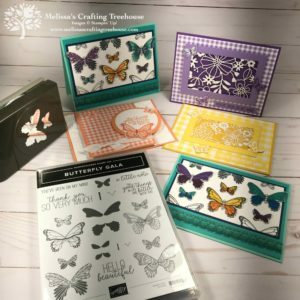 I love the idea of using my supplies in unexpected ways like this! The blocks are inked up with Petal Pink ink and simply stamped. 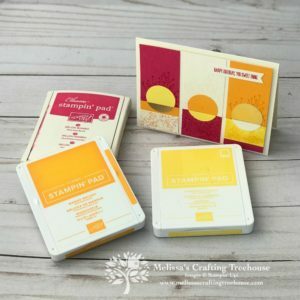 I like to start with stamping the center block first and then stamp the outside blocks. 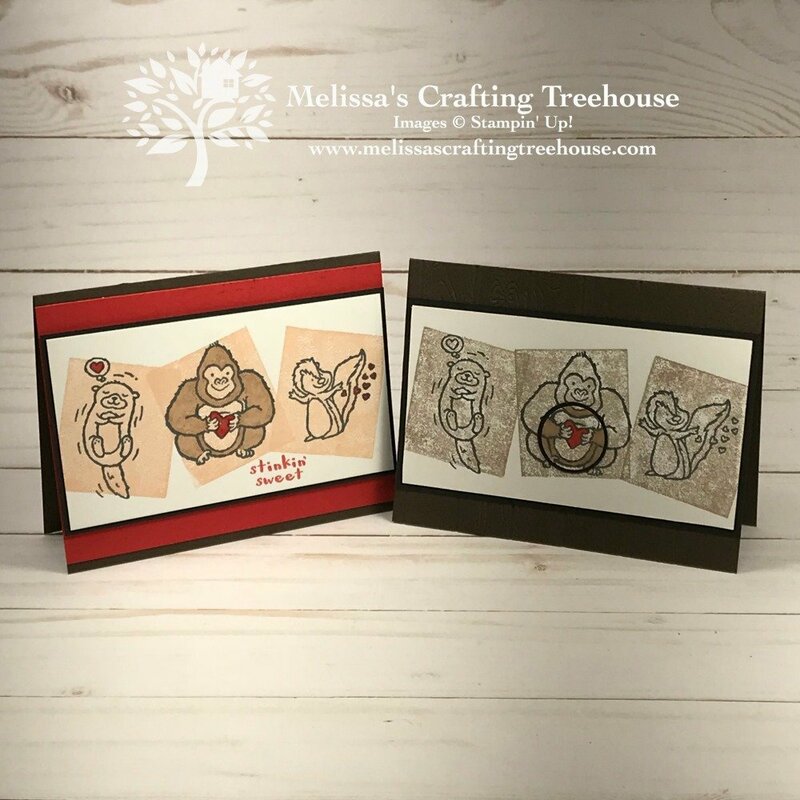 The Gorilla is stamped and colored in with the Bronze Blends Alcohol Marker. 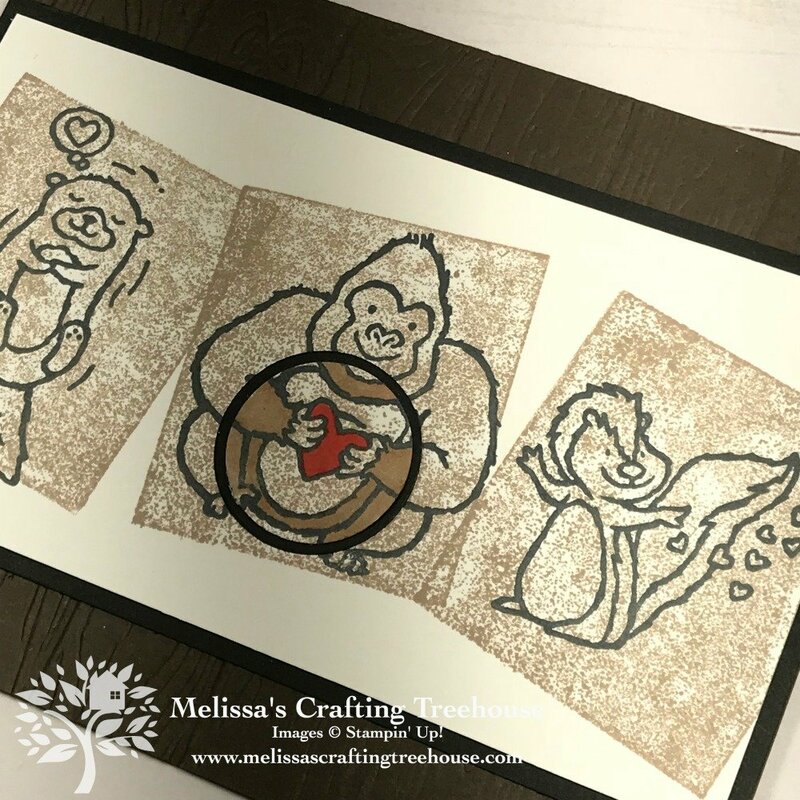 The hearts in all three images were colored using the Poppy Parade Stampin’ Write Marker. 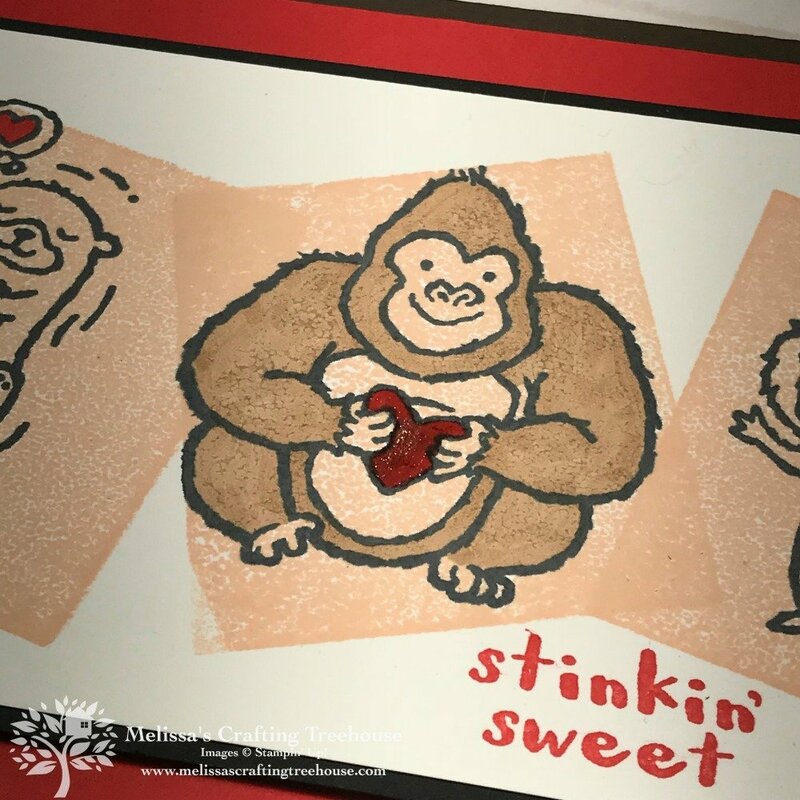 For the gorilla I also went over it with the Clear Wink of Stella Brush. In this close up can you see the texture in the gorilla? I believe we’re seeing the texture created by the Petal Pink ink, through the Bronze marker. It sort of looks like fur to me, which I think is another fun element, and by-product, of using the acrylic block to stamp the background rectangles. I have a second project for you that features a technique called Spotlighting. This next project does not include all the colors in this challenge but I couldn’t resist but to share it. It’s the same layout with a few color adjustments and the addition of the spotlighting technique. I’ve also dry embossed the Early Espresso card base using the Pinewood Planks embossing folder. 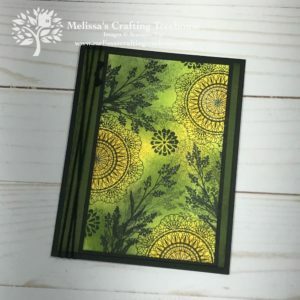 If you’d like to learn more about the spotlighting technique, and you’d like to see two additional projects made with this technique, be sure to check out my recent blog post by clicking HERE. I hope you enjoyed my projects today and will leave a comment and tell me what you think! There’s also a short video tutorial later in this post, for all the details and tips. 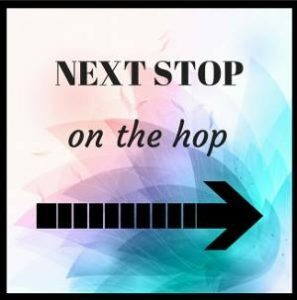 The next stop is Bonnie O’Neill’s blog. I know you’ll enjoy what she’s got to share! So cute!!! 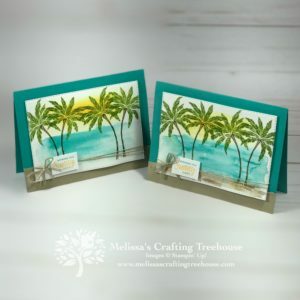 Really clever idea and card! 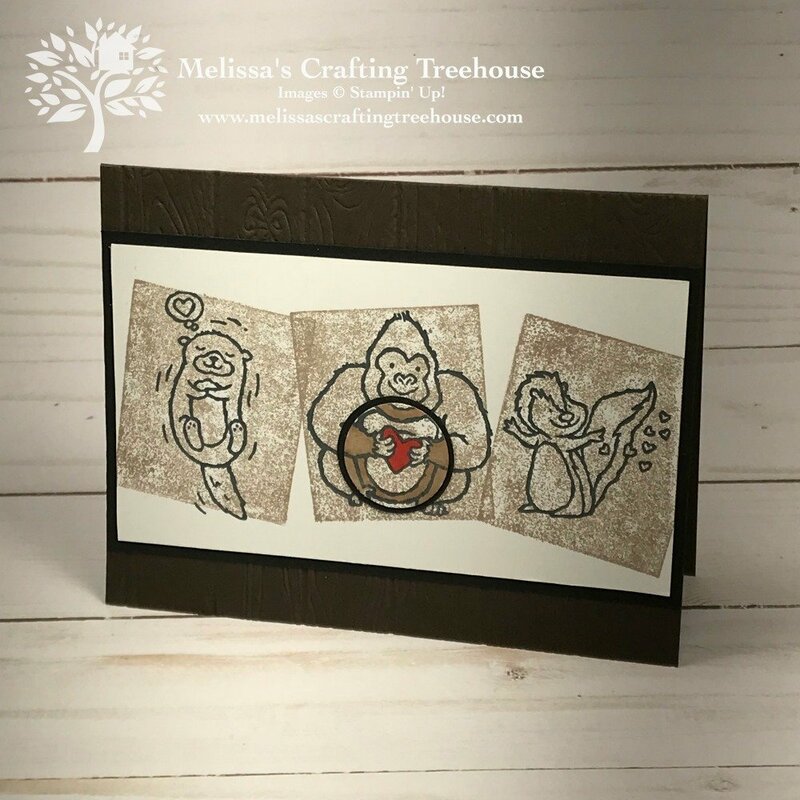 What a great idea to include multiple critters on the card, and how cool is the fur! 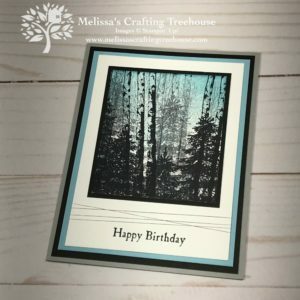 Cute card Melissa! Thanks Melanie. So glad you like this card! Thanks for taking the time to comment too! Love the block idea! Cute cards! 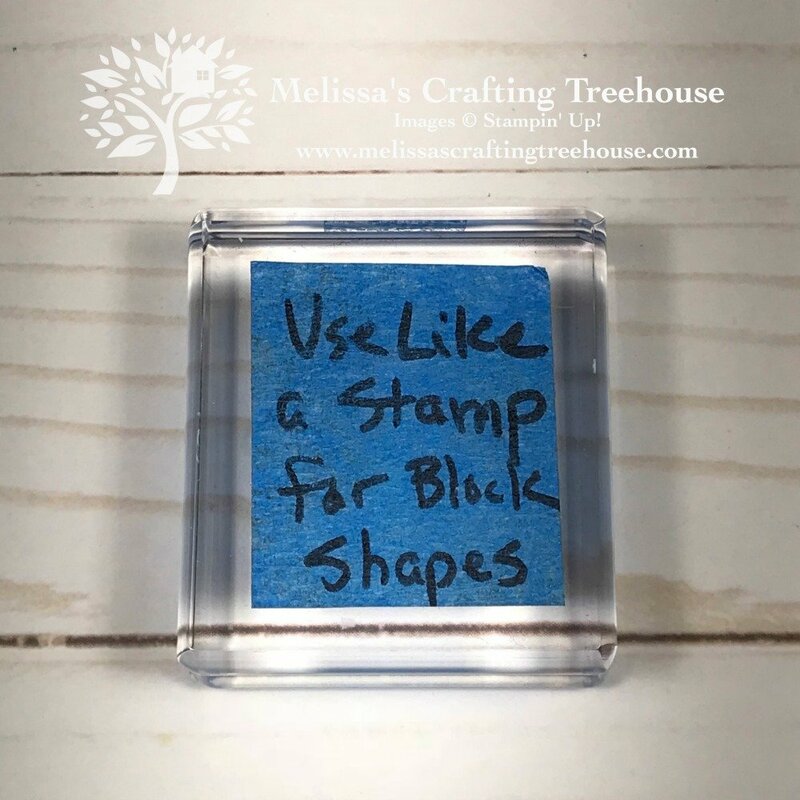 I’m so glad you enjoyed the stamping with blocks idea. Thanks for commenting and letting me know!